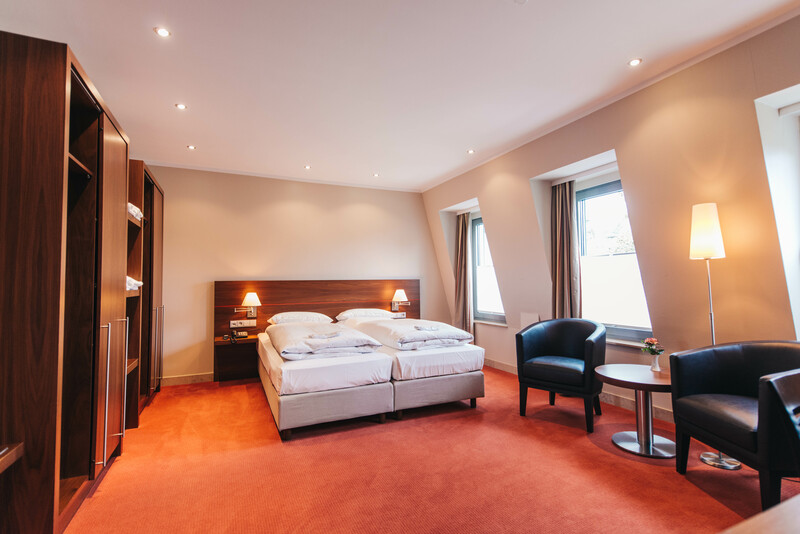 The 4-star Ringhotel garni welcomes you with its charming atmosphere in the former administration building of the Mülheimer wire-rope factory. 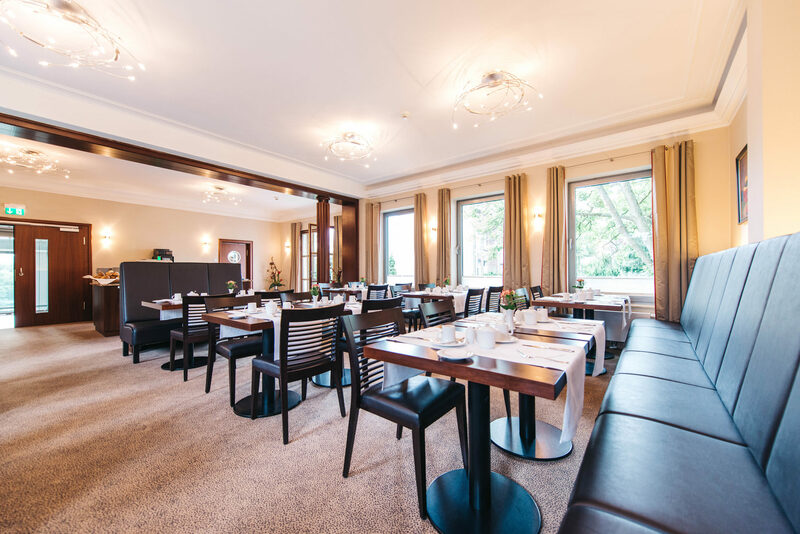 You will be staying in a quiet yet central location across from the Schlossbrücke, close by the city hall and the castle Broich with its fantastic views over the river Ruhr. 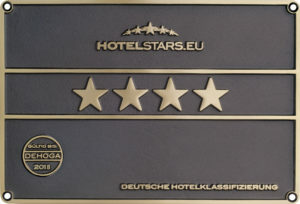 The hotel has 39 neatly furnished and well-equipped rooms in different categories. Whether you are traveling for business or are on a private journey- you will always experience a comfortable and international atmosphere, completed by an outstanding friendly service. 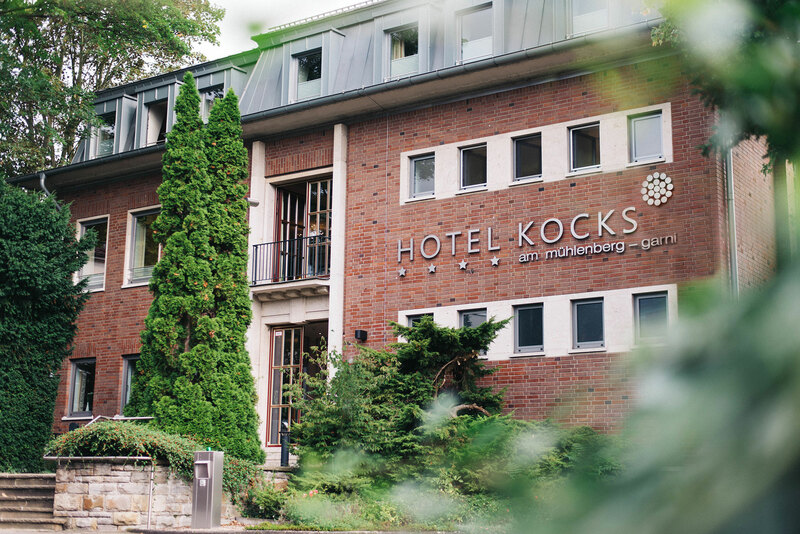 Hotel KOCKS is located in the heart of the Ruhr area. 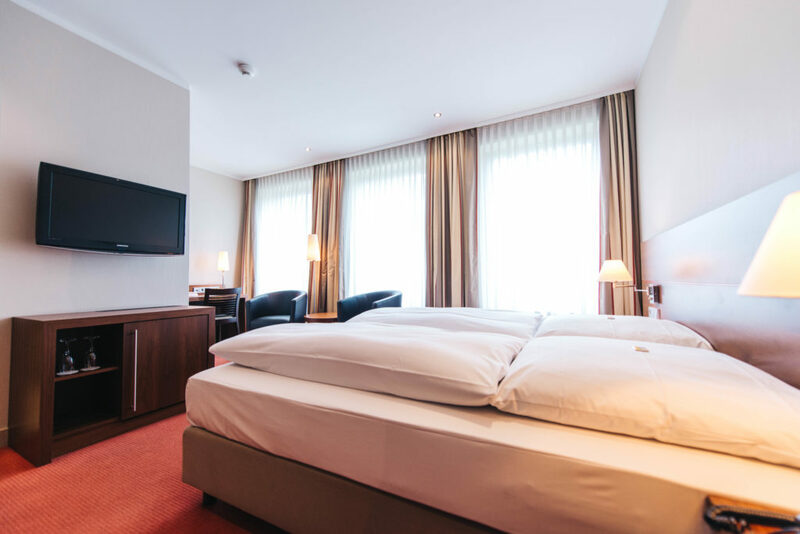 Great public transport connections to the airport of Dusseldorf, the fair-grounds of Essen (Messe Essen) & Düsseldorf (Messe Düsseldorf), Oberhausen and Duisburg, as well as sufficient parking spots are all available with us. 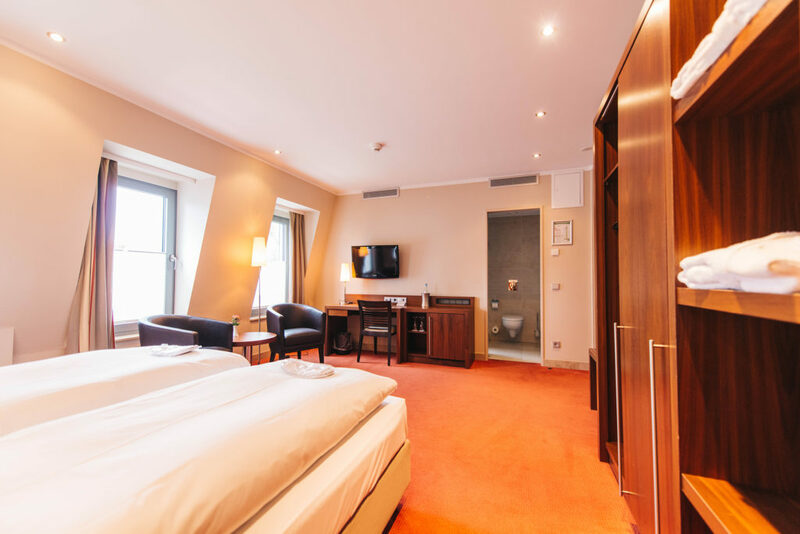 After your celebrations or conferences in the nearby castles or adjacent congress halls, Hotel KOCKS will welcome you back home at any time. 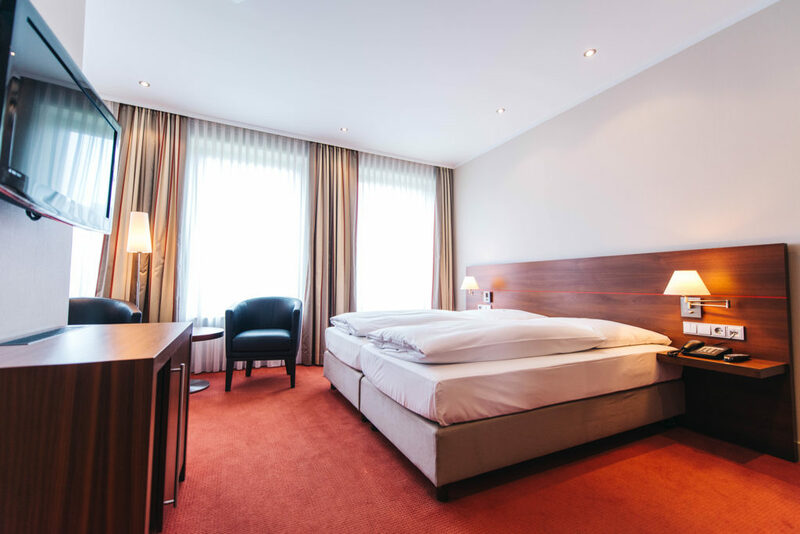 Book the junior suite for your wedding, go on a shopping-tour at the CentrO shopping mall, visit a concert in the concert halls or experience a comedy show in the city hall. Furthermore, you can always take a restful stop while biking the Ruhrtalradweg or while exploring the route of the former industrial culture. 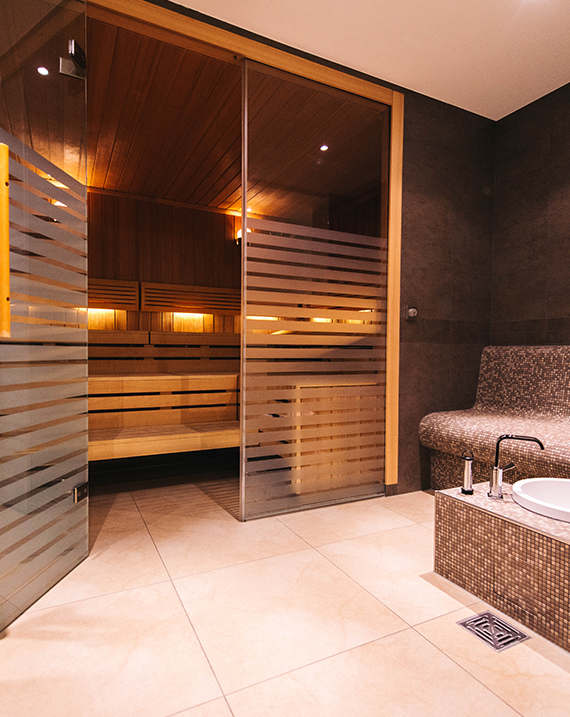 In the evening there are many possibilities to end your day in a relaxing way. 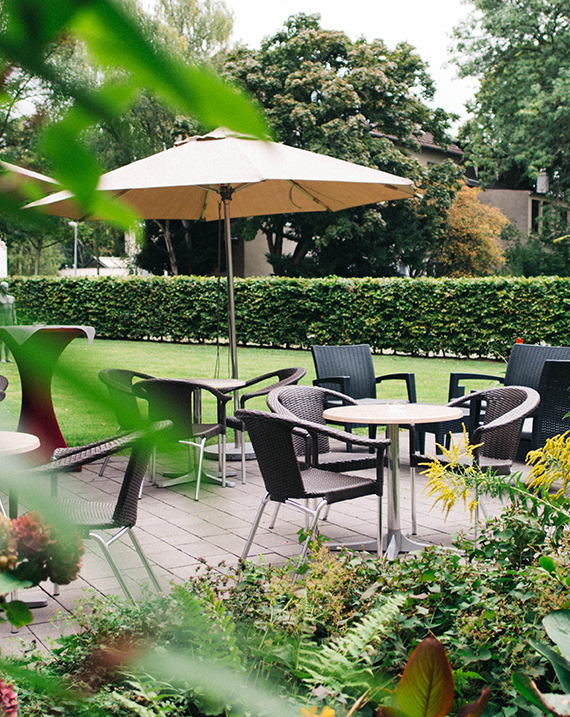 Go for a run or cycle by the river Ruhr, relax in our delightful sauna and fitness area or enjoy a drink at our hotel bar with its garden terrace. 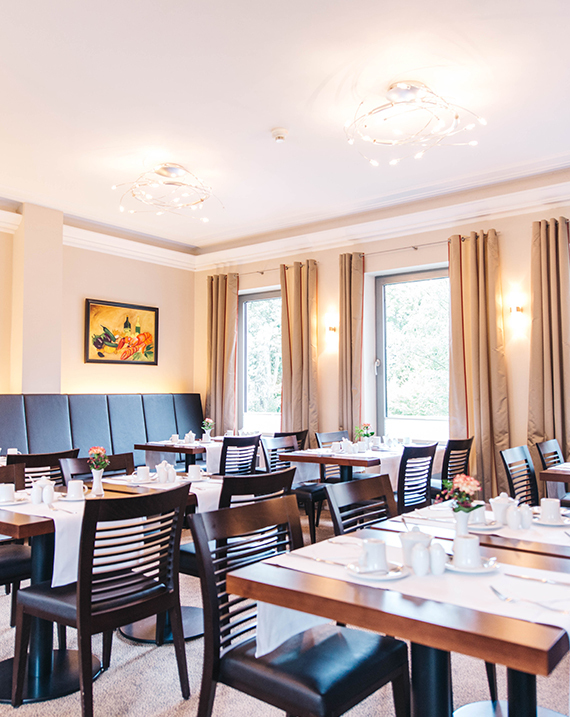 You will find a wide variety of restaurants located in the old town or along the river Ruhr and the following day will start you off with a wonderful breakfast at our buffet. 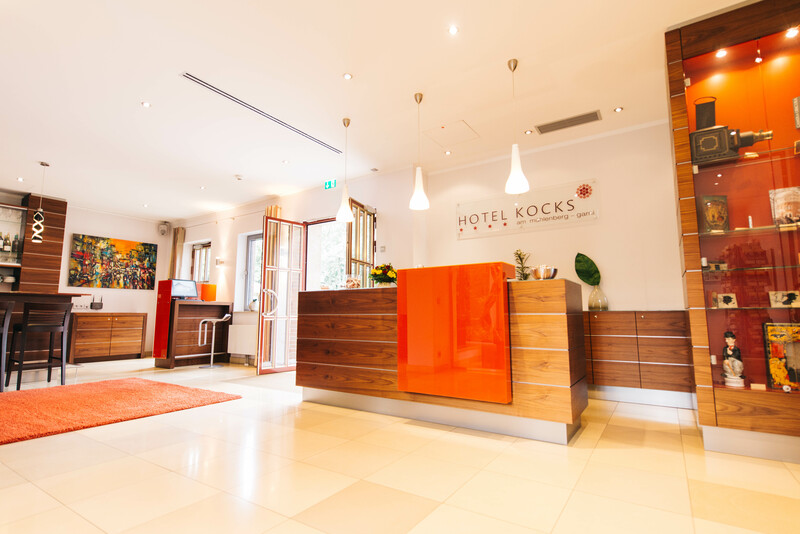 We are looking forward to welcoming you at Hotel KOCKS.